Charles Richard Fairey founded the Fairey Aviation Company (FAC) in 1915. Fairey was at Cowes, Isle of Wight, United Kingdom in September 1923 to witness a practice session for the Schneider Trophy seaplane race over the Solent. What he saw both impressed and disappointed him. The Curtiss D-12 so impressed Richard Fairey that he went to the United States and acquired a license to produce the engine. Named the Fairey Felix, the engine was actually never produced, but 50 D-12 engines were imported. Fairey was impressed by the Curtiss CR-3 racers, each with its compact 450 hp (336 kW) Curtiss D-12 engine turning a Curtiss-Reed metal propeller. When the race was run, the two CR-3 aircraft from the United States (US) proved to be 20 mph (32 km/h) faster than the British Supermarine Sea Lion racer. The Sea Lion was powered by a 550 hp (410 kW) Napier Lion W-12 engine that turned a wooden propeller. The two CR-3s finished the race averaging 177.266 mph (285.282 km/h) and 173.347 mph (278.975 km/h), while the Sea Lion averaged 157.065 mph (252.772 km/h). Fairey was disappointed that the British Air Ministry was not pushing its aircraft industry to make the same technological strides that were taking place in the US. Fairey was already frustrated by the constraints the Air Ministry placed on their specifications for new aircraft. With the world-beating performance of the Curtiss CR-3 aircraft fresh in his mind, Fairey resolved that if the Air Ministry would not push technology, he would. Fairey went first to the Air Ministry seeking support for his new aircraft and was promptly turned down. Fairey then traveled to the US where, at great expense, he obtained manufacturing licenses for the Curtiss D-12 engine and Curtiss-Reed propeller. This agreement included some 50 D-12 engines to be used while FAC tooled up to manufacture their version, which was called the Felix. Fairey was so enthusiastic about the D-12, that he somehow smuggled an engine into his stateroom for his return sea voyage to Britain. The Fairey Fox I light bomber was powered by the D-12/Felix engine. The aircraft was a private venture, and its performance surpassed other bombers and most fighters then in service. The British Air Ministry did not appreciate Fairey’s non-conformist attitude or the aircraft’s foreign power plant. The D-12/Felix was a normally aspirated, liquid cooled, 60 degree, V-12 engine. The engine had a 4.5 in (114 mm) bore and a 6.0 in (160 mm) stroke. The D-12/Felix’s total displacement was 1,145 cu in (18.8 L), and it produced 435 hp (324 kW) at 2,300 rpm. The engine had four valves per cylinder that were operated by dual overhead camshafts. With the engine situation under control, Fairey had his design department drew up plans for a new aircraft to be powered by the D-12/Felix. What came off the drawing board was the Fairey Fox I light bomber. 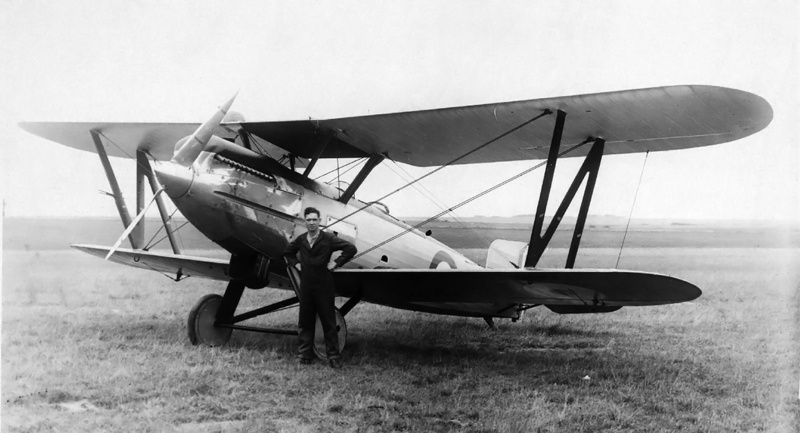 Piloted by Norman Macmillan, the Fox I was flown for the first time on 3 January 1925. The Fox I had a top speed of 156 mph (251 km/h), some 50 mph (80 km/h) faster than comparable bombers then in service and also faster than most frontline fighters. Although it was built as a private venture, the Air Ministry was forced to buy a few Fox I bombers because of the aircraft’s unparalleled performance. The Air Ministry was not pleased with the situation and was downright appalled that the aircraft was powered by a US engine. Moreover, they did not want another aircraft engine manufacturer in Britain. The Air Ministry tasked Rolls-Royce to develop an engine superior to the D-12. This new engine was developed as the Rolls-Royce Kestrel (type F) and was a stepping stone to the Merlin. The whole situation did nothing to improve the relationship between Fairey and the Air Ministry. However, had Fairey not forced the D-12 upon the Air Ministry, it is entirely possible that there may not have been a Merlin engine ready for the Battle of Britain in 1940. 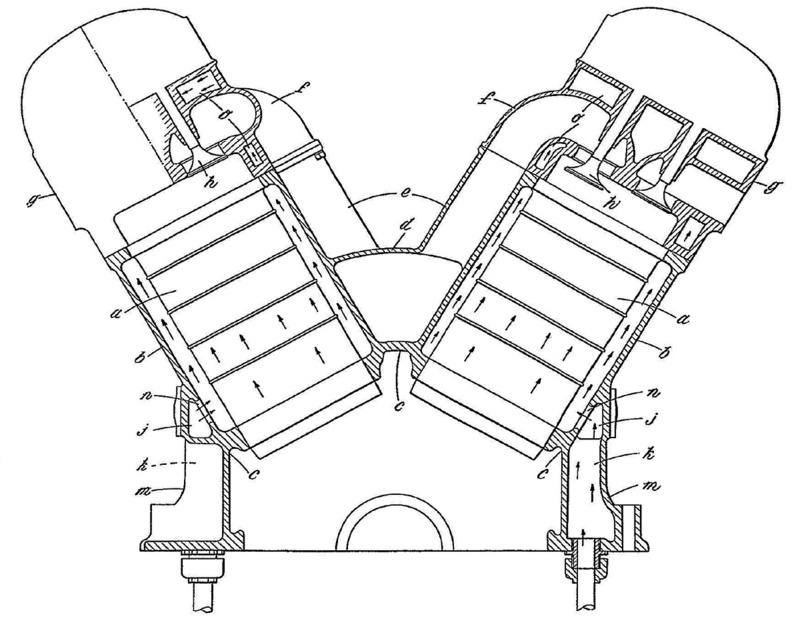 British patent 402,602 outlined how passageways cast into an engine’s crankcase could bring induction air into the cylinders. The patent also states how special oil lines (h) could traverse the passageway. This would help cool the oil and heat the incoming air/fuel mixture (which is not a good idea when higher levels of supercharging are applied to the engine). The small order of Fox aircraft meant that the Fairey Felix engine never went into production. Only 28 Fox I aircraft were built, and a number were either built with or re-engined with Kestrel engines. FAC also built the D-12-powered Firefly I fighter, which first flew on 9 November 1925 and had a 185 mph (298 km/h) top speed. No orders were placed for the Firefly I. Failing to enter the aircraft engine business on his first attempt did not stop Fairey from trying again. In 1931, FAC had hired Captain Archibald Graham Forsyth as chief engine designer. Forsyth had previously worked with Napier and Rolls-Royce while he was with the Air Ministry. Forsyth went to work designing a new aircraft engine. During this same period, Rolls-Royce started work on their PV-12 engine, which would become the Merlin. Forsyth developed a liquid-cooled, 60 degree, V-12 engine known as the P.12. The upper crankcase and cylinder banks of the P.12 were cast together. Each detachable cylinder head housed four valves per cylinder. Reportedly, the P.12 used a dual overhead camshaft valve train similar to that used on the D-12/Felix. Cast into the Vee of the engine was the intake manifold and the runners, which branched off from the manifold. The intake runners aligned with passages cast integral with the cylinder head that led to the cylinders. The integral intake manifolds increased the engine’s rigidity, eliminated many pipe connections, and gave the engine a much cleaner appearance. A drawing from British patent 406,118 illustrates the induction passageways (d, e, and f) cast integral with the engine’s crankcase and head. The drawing also shows the water circulation from the crankcase to up around the cylinders and into the cylinder head. Although the valve arrangement is not specified, it is easy to see how four valves per cylinder with dual overhead camshafts could be accommodated. The Fairey P.12 had a 5.25 in (133 mm) bore and a 6.0 in (152 mm) stroke. The engine’s total displacement was 1,559 cu in (25.5 L). Two versions of the P.12 were designed that varied in their amount of supercharging. The lightly-supercharged (some sources say unsupercharged) P.12 Prince produced 650–710 hp (485–529 kW) at 2,500 rpm. The moderately-supercharged P.12 Super Prince (or Prince II) produced 720–835 hp (537–623 kW) at 2,500 rpm. The P.12 engine weighed around 875 lb (397 kg). The P.12 engine was first run in 1933. By 1934, three engines had been built and had run a total of 550 hours. One engine had run non-stop for 10 hours at 520 hp (388 kW) and had made three one-hour runs at 700 hp (522 kW). In late 1934, a P.12 Prince engine was installed in a Belgium-built Fox II (A.F.6022) aircraft (A.F.6022). The Prince-powered aircraft made its first flight on 7 March 1935. Ultimately, P.12 engines were run around 1,000 hours and had a final rating of 750 hp (559 kW) for normal output and 900 hp (671 kW) for maximum output. The Fairey Fox II was used as a testbed for the P.12 Prince engine. Unfortunately, little information has been found regarding the engine or its testing. Note the two exhaust stacks for each cylinder. The arrangement was similar to that used on the D-12/Felix engine. In 1933, the Air Ministry issued specification P27/32 for a new light bomber. Marcel Lobelle, chief designer at FAC, drew up a number of designs, including one powered by two P.12 Prince engines. However, the Air Ministry wanted a single-engine aircraft. 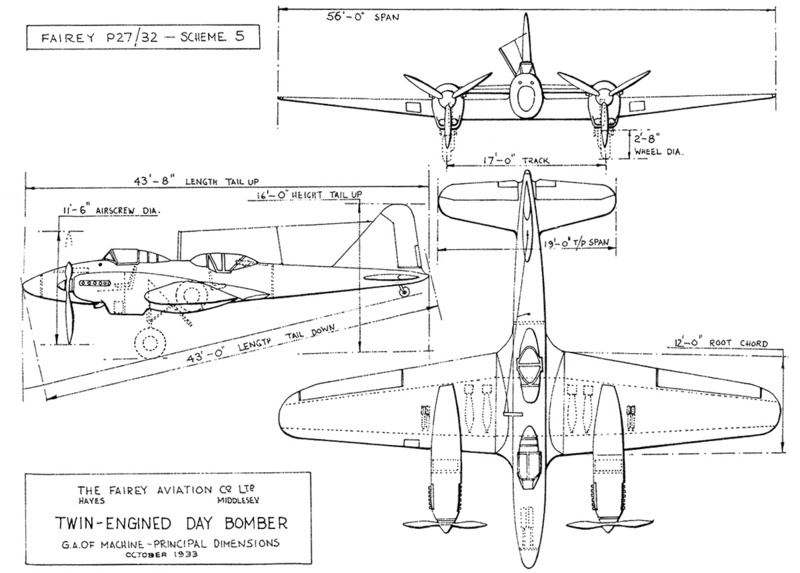 Lobelle altered the twin-engine design into what was basically a P.12-powered early design of the Fairley Battle. The Air Ministry made it clear to FAC that it would not consider any P.12-powered aircraft, because FAC was not a recognized engine manufacturer, and the Air Ministry did not want any other firms entering the aircraft engine field. Consequently, the FAC design for the P27/33 specification was switched to A Rolls-Royce Merlin I engine in 1934. This design was contracted as the Fairey Battle. The Battle was first flown on 10 March 1936 by Christopher Staniland, but an order for 155 aircraft (under specification P.23/35) had already been placed in May 1935. The Battle was the first production aircraft powered by the Merlin engine. With no support from the Air Ministry, the P.12 Prince faded into history. 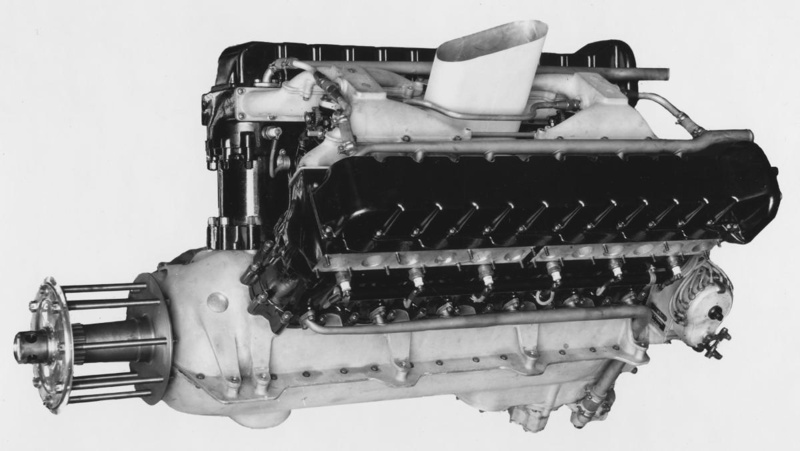 Encouraged by the early bench tests of the P.12, Forsyth designed a more powerful 16-cylinder engine in January 1935 that was designated P.16. Initially, the P.16 design was basically a P.12 with four additional cylinders to make a V-16 engine. The P.16 used the same bore and stroke as the P.12 but displaced 2,078 cu in (34.1 L). Some sources state the P.16 was guaranteed to produce 900 hp (671 kW) at 12,000 ft (3,658 m) with a weight of only 1,150 lb (522 kg). The 900 hp (671 kW) output seems low, especially when compared to the anticipated performance of the Super Prince. FAC’s proposal to specification P27/32 included two twin-engine aircraft powered by P.12 Prince engines. The Air Ministry wanted a single-engine aircraft and would not consider anything powered by FAC engines. The specification and design eventually became the Fairey Battle. Numerous sources suggest the P.16’s configuration was changed over concerns regarding the engine’s length combined with excessive torsional vibrations and stress of the V-16’s long crankshaft. The new, revised layout of the P.16 was an H-16 engine with two crankshafts, four banks of four cylinders, and an output of 1,540 hp (1,148 kW). This power level seems more reasonable than the 900 hp (671 kW) listed previously, but some sources give the 1,540 hp (1,148 kW) figure as an early power rating of a different engine (the P.24 Monarch). On occasion, the H-16 engine has been referred to as the P.16 Queen, but “Queen” was an early name for the P.24 Monarch. It may be that the H-16 engine never existed and has been mistaken for the P.24 over the years. A third P.16 layout is described by other sources, which details the engine as a U-16 with two straight-eight engines mounted in parallel and geared to a common propeller shaft. FAC and Forsyth applied for a patent on 31 January 1936 (British patent 469,615) for such an engine configuration, but that date is after FAC moved away from the P.16, and the drawings depict a 12-cylinder engine. Both the H-16 and U-16 configurations would result in a much heavier engine of around 1,500 lb (680 kg). Rather than proceed with a 16-cylinder engine, a new design had been started by October 1935. In fact, there is little evidence from primary sources that indicates a P.16 engine or an H-16 configuration were ever seriously considered. The new engine would keep the bore and stroke of the P.12 and use an H layout with four banks of six cylinders for a total of 24 cylinders. The H-24 engine design was called the Fairey P.24 Monarch. Some sources state the P.16 engine was really two inline-eight engines coupled together as a U-16. While no drawings of a U-16 have been found, FAC and Forsyth did take out a British patent (no. 469,615) for a similar engine. This U-12 design was probably more of a stepping stone to the P.24 than a development of the P.16. Note the barrel (c) drawn between the cylinder banks. This entry was posted in Aircraft Engines, Between the Wars on 5 October 2017 by William Pearce. “Fairey was so enthusiastic about the D-12, that he somehow smuggled an engine into his stateroom for his return sea voyage to Britain.” How do you manage to smuggle a V-12 aircraft engine both on and off a liner without being seen? Really big jacket? But seriously, I think it was not a problem of the engine being on the ship, but it should be in the cargo hold and not in a room. I would imagine Fairey just paid some of the crew to put the crated engine in his room. Obviously, it is too big and too heavy to be truly smuggled in the room, but it does make for a good story.